Meek Mill is sending some new threats towards his nemesis Drake. 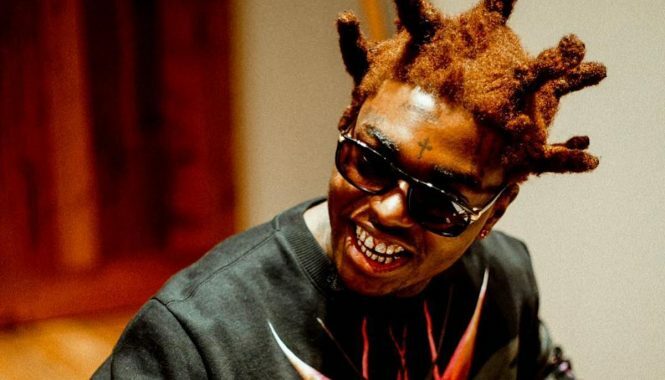 Yesterday a leaked snippet from the Philly rapper’s upcoming album Dreamchasers 4 surfaced online of him rapping about running him and Drizzy with his gun. “I can’t wait until we run into ya, I’ma put a gun in ya,” Meek raps. Drake has not responded to the threat but Meek people are saying its just a song and that he does not intend to get physical with the Toronto emcee. “This is just music but in these situations there are always going to be some fans and some media outlets taking it a little bit too serious,” sources close to Nicki Minaj and Meek Mill told Urban Islandz. Meek Mill and Drake infamous beef started in July when the Maybach Music Group rapper went on a Twitter rant accusing Drizzy of using a ghost writer to write his lyrics. Meek Mill has been silent about the beef for the most part until now when this leaked snippet surfaced. The big question is is whether or not Drake will respond. Meek has not given Dreamchasers 4 a release date, but fans can expect it sometime in early 2016. Sources told Urban Islandz that Nicki Minaj and Rick Ross will be featured on the project along with a handful of other artists. 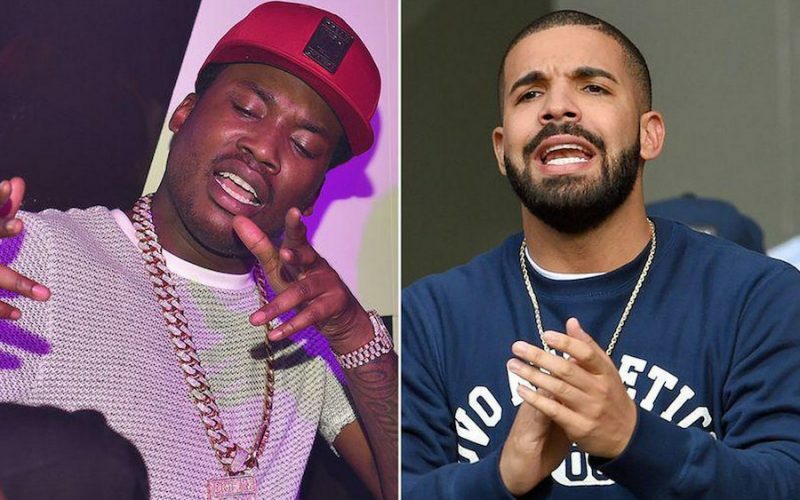 Do you think Meek Mill should give up on his beef with Drake or try to resurrect his career? Sound off in comments below. No, not even worth it. Back to Back was physical enuf and all Drake got left to do now it win the Grammy for it and Meek can just retire. No matter what Meek is done anyway. His claim to fame or any camera time is when he is with Nicki. Its quite embarrassing the way she tries to include him when she gets honored or attends an event. Nobody is trying to listen or look at Meek Mill. He is irrelevant and he knows it. The best thing he could do is just continue being Mr. Minaj and marry her and give her babies so he will be set for life and famous for that. He’s done. Get it Drake! Its funny to think of someone wanting to be physical with Drake anyway. Drake aint no thug. He aint from the streeets. He aint from philly. He is just the hottest rapper out now from Canada and that is that! Don’t hate him because he won. Just stop it!!!! Wont even bother listening to Meek’s diss, after months of nothing. Keep chasing dreams Meek. Its ok to Dream. Meek/Drake this is all promo a so called beef for attention. Meek is soft and is not dumb enough to kill Drake. Fake beef keeps their names hyped up. Drake..lol Just thinking him trying to hurt someone is hilarious. Meek is dumb enough to believe the hype but hopefully his handlers (girlfriend) will keep him under control. Yes, there are plenty of instigators out here.